Plumbers | Reliance Plumbing Sewer & Drainage, Inc.
Now is the time of year when residents in our area start dreaming of spring, warmer weather, and home projects such as remodeling. If you’re considering having your kitchen remodeled, there’s no bad time to do it! In fact, we have some tips when it comes to your plumbing components within your kitchen. When you think of kitchen remodels, you’re probably focused more on the cabinets, flooring, and maybe even the major appliances such as your fridge and oven—but thinking about your plumbing can be very beneficial! Keep reading for some great tips, and when you’re ready, contact our plumbers in Libertyville, IL. If you’ve been a homeowner for even just a short time, chances are you’ve had to deal with at the very least, a minor plumbing issue. And one of the most common of plumbing issues? Leaks! 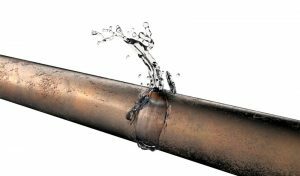 What makes plumbing leaks so formidable? Well, there are a few things. First off, even if leaks seem “minor,” such as a dripping faucet, those leaks can waste gallons of water over the course of a shorter time than you may believe. Because they’re minor though, they trick you into thinking they’re not that big of a deal—until you notice the cost of water starting to add up.